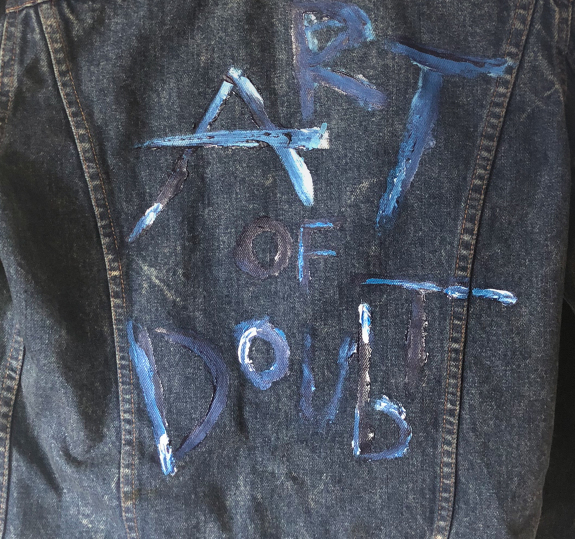 A one of a kind "ART OF DOUBT" art creation, hand-painted vintage Levi's® denim jacket, by METRIC's Emily Haines. 1. 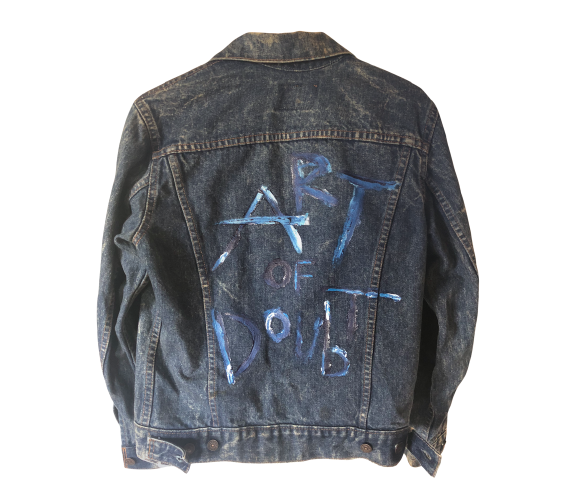 All sales of "Art of Doubt" Vintage Levi's® Denim Jacket are final. 2. F.O.B. Origin (The risk of loss shall pass to the buyer once possession of jacket is delivered to the buyer's approved shipper at seller's warehouse or such other location where the jacket is stored). 4. Shipping, handling, and USPS insurance are included in the sale price and will charged at the time of purchase. 5. 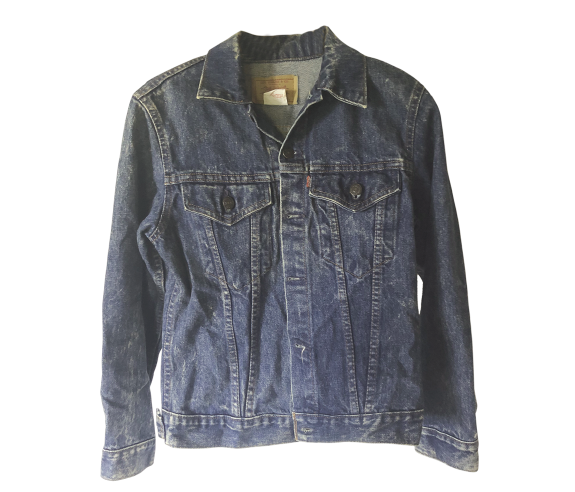 This is a pre-worn jacket and may have some defects and show signs of wear and tear. Jacket is sold as-is. If you have any questions or concerns about the purchase, please contact us before purchasing at help@ilovemetricstore.com.